Private schools in Ekiti State on Monday began a three day strike to protest the imposition of N1,000 development levy per term on pupils by Governor Ayodele Fayose. The State Government had announced N1, 000 per term as education development levy for public secondary school while those in primary schools were to pay N500. Government, however, in a circular from the Ministry of Education extended the development levy to private schools. 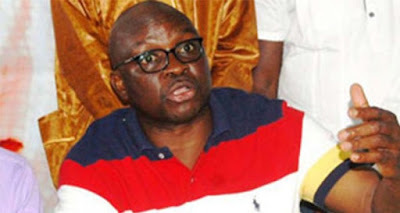 But the National Association of Proprietors and Proprietress of Private Schools in Ekiti have argued that the extension of the levy to private schools ran contrary to the spirit and letters of Section 42(1) (a) and (b) of the 1999 Constitution. The president of the Association, Alhaji Saka Adeleye, while addressing journalists in Ado Ekiti on Monday said private schools in the state would remain shut for three days to protest multiple taxation from the government. “There is no infrastructural development to private schools. Nothing was given to us to develop our schools, all they (government) do is to extort us with taxes. Even during the outbreak of the deadly disease-Ebola-no kit was given to us. “We use our capital to fund our schools. Not even textbooks, chalks from the government. The government distributed laptops to public school but not only one was given to private schools. So what are we gaining? The association described the policy as discriminatory and unconstitutional against NAPPS, which is an employer of over 20,000 workers. “In view of the foregoing uncontroverted facts, it is practically impossible for members of our chapters to pay the new levy. It is our humble view that our amiable governor has not been well briefed or advised in respect of this matter. NAPPS also appealed to the governor to look into the unwieldy and/or uncoordinated nature and the arbitrariness and/or unlawfulness of the assessments of other fees currently being paid by their members.